On September 23, Russia-supported militants in Donbas opened fire on positions of the Armed Forces of Ukraine 18 times. One Ukrainian soldier was killed in action, according to a daily report by the press center of the Anti-Terrorist Operation Headquarters. "Over the past day, illegal armed groups violated the ceasefire 18 times. During 10 of them, when a direct threat emerged to the lives of our soldiers, ATO forces returned fire. One Ukrainian defender was killed in action," the headquarters said. Read alsoU.S. not yet decided on supply defensive arms to Ukraine – media At the same time, it is noted that militants have traditionally employed the tactics of overnight shelling. At 18:00 on Saturday, September 23, the number of fire provocations remained insignificant. In the evening hours and overnight though, illegal armed groups fired in all directions, using grenade launchers and small arms. On the Donetsk line, three attacks were reported from various types of grenade launchers and heavy machine guns against the Ukrainian troops located in the vicinity of Avdiyivka’s industrial zone. The same weapons were used in attacks on Ukrainian positions near Butivka coal mine and Svitlodarsk. Outside Kamenka, militants were actively using an 82mm mortar. In addition, at the end of the day, at the approaches to Nevelsk, the strongholds of the ATO forces were twice hit by enemy fire from small arms. Read alsoATO HQ update: One Ukrainian soldier killed amid two attacks in Donbas on Sep 23In the Prymorske direction, facts were recorded when from the illegal armed formations employed grenade launchers near Hnutove and Vodiane. Outside Shyrokine militants fired from a large-caliber machine gun. 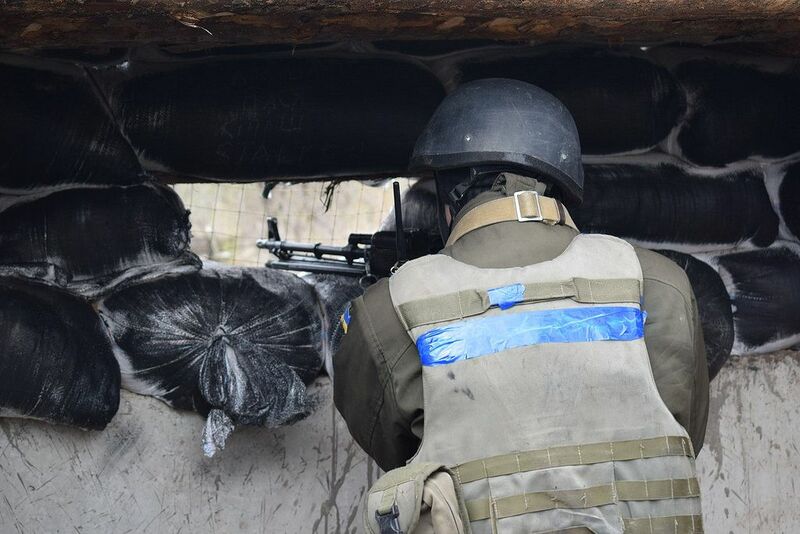 On the Luhansk line, militants opened fire three times from various types of grenade launchers in the area of Krymske, and from a large-caliber machine gun – on the outskirts of Novotoshkivske.